Kiteboarding and travelling go hand and hand and we love taking trips and finding new spots. Nothing is worse than pulling up a a perfect new spot and having your gear fail. If you kiteboard for long enough, eventually something will break. Be ready for it with this kit. 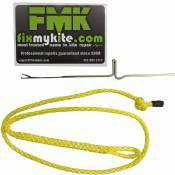 It includes everything you need to fix the most common issues you will run into for both your kite and bar/lines. Use whatever you need and simply buy whatever parts and pieces you need to re-fill the kit. 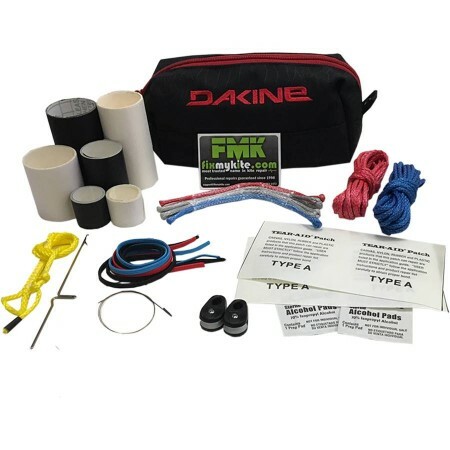 Think of it like a first aid kit for you kite. Also perfect to throw in the glove box just incase something happens on that epic day at your home spot.